Assistant teacher of marine mammal ecology for summer sessions. Includes assisting on zodiak excursions to view marine mammals in their natural environment in the St. Lawrence Estuary and teaching introduction to radio telemetry. Marine mammals ranging from harbor porpoises to blue whales. Adjunct faculty for two sections of ENST 220 Investigating Environmental Problems, teaching an introduction to the scientific method for sophomores. The class includes both field and laboratory study, practice in environmental sampling, experimental design, and quantitative data analysis. Involves collaboration and coordination of class acitivites. GIS Specialist assisting in developing the spatial data infrastructure for BioMap 2. The Natural Heritage and Endangered Species Program within the Massachusetts Division of Fisheries and Wildlife is updating BioMap. The BioMap 2 project seeks to focus land protection by identifying the most important places for conservation of native biodiversity using the full spectrum of the state’s terrestrial and freshwater biodiversity. The project involves collection of the “most important” polygons for individual species and communities. This involves working with both polygon data as well as raster models that have been developed to identify areas of high “ecological integrity”. To assist with solving technical problems (software and/or equipment) and give individualized help to students as needed. Work through exercises to ensure accuracy. Help students apply GIS tools and methods to their own projects. Help motivate students to explore and apply GIS tools. TA for three GIS classes (two professors). To give individualized help to students as needed in class and outside of class. Work through exercises to ensure accuracy. Help students apply GIS tools and methods to their own projects. Help motivate students to explore and apply GIS tools. Ecological Research Design class: To work closely with individual students as needed to clarify statistical concepts for ecological designs. To help student apply the concepts to their coursework and to their own projects or theses. As Project Manager, managed new product development projects and maintained budgets, schedules, and team meetings.Initiated process improvements for shorter development times. Also: Director, Advanced Concepts 1997 – 1999Imported Advanced Concepts process from the parent company and led new product concepts exploration. Met with and gave direction to consultant designers. 30 concept models resulted. Also:Director, Custom Solutions 1992 – 1997Created the Custom business unit and produced sales of $8 million/yr. by the third year. Products created contributed to new product design and I am listed on two product patents. Worked for several commercial office furniture manufacturers. Positions ranged from Samplemaker to Design Engineer to Engineering Manager. Prepared new designs for manufacturing and and re-designed existing products for company savings. Managed from 2 to 8 people. Mathematics teacher for grades 7-12. Developed "Maths Lab" hands-on materials. Thesis: An evaluation of the benefit gained through a spatially explicit approach to conserving pool-breeding amphibian habitat. Environmental Classes Completed:Ecological Research Design, Advanced Statistics, Geographic Information Systems (GIS), Natural Resource Inventory (Wildlife), Wildlife Research Techniques, Herpetology, Ornithology, Conservation Biology, Wetlands Ecology, Soil Ecology, Land Use and Urban Planning. 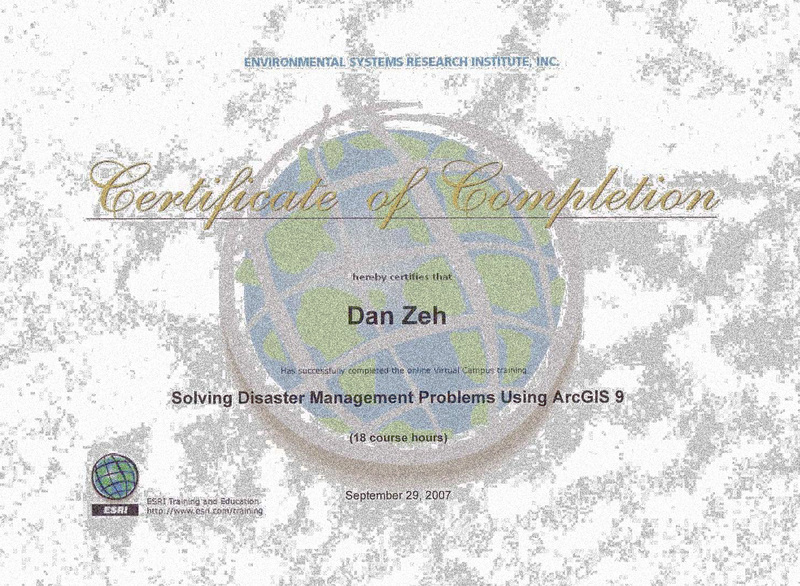 Supervised Independent Study:GIS Skills for Conservation Biology (ESRI Virtual Classes): Working with Rasters, Creating and Integrating Data for Natural Resource Applications, Spatial Analysis of Geo-Hazards, 3D Analyst, Introduction to Urban and Regional Planning, Solving Disaster Management Problems using ArcGIS. Initiated project, successfully wrote grant applications, designed research plan, research methods, and currently organizing project, which includes radio-tracking to determine habitat use, unique identification of individuals, and DNA sampling. Initiated opportunity for Antioch graduate student thesis. 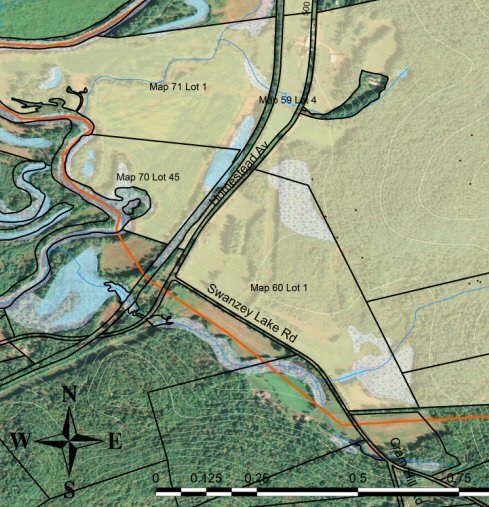 Major contributions to the committee: evaluating wildlife and natural resources on properties in the conservation easement process; creating conservation maps for Swanzey focus areas showing NH Wildlife Action Plan data, local aquifer data, and open space conservation priorities. OSC member since 2008. Attended five 3-hr evening sessions and one-day regional workshop to receive training in community work with land owners interested in conservation easements and local governments seeking ways to protect their town’s special places and character through coordination with land trusts. Created the first map of TWP Eastern Corridor stretching from the Maritime Provinces to Florida. The map displayed conserved lands from multiple organizations within a general large-scale corridor that included The Nature Conservancy’s ecoregions. Learned field research techniques for small mammals and birds. Learned radio-tracking techniques. Spent one day in training with a professional biologist radio-tracking Box turtles. Spent one week radio-tracking a female Veery as a project to identify its nesting site. most likely areas to search. Key organizer in coordinating speakers, setting schedule and reservations, motivating and organizing volunteers. Created a land-use map and analysis for vernal pools for the book, Wells NERR Site Profile. The map was printed in full-page color in support of Dr. Robert Baldwin’s chapter on amphibians and reptiles. Created map of marine mammal sightings in the St. Lawrence Estuary. Summarized GPS points from over 20,000 lines of trip log data. (in cooperation with Meriscope, Quebec). Finance and Managerial Accounting Concepts, Operations Management, International Operations Management, Management Information Resources, Managerial Accounting, Organizational Structure and Behavior, Economic Reasoning. I currently use ArcView 10 to create maps for various purposes: land use, habitat use, co-occurrence analysis. I've taken many classes both in the classroom and ESRI Virtual Courses. 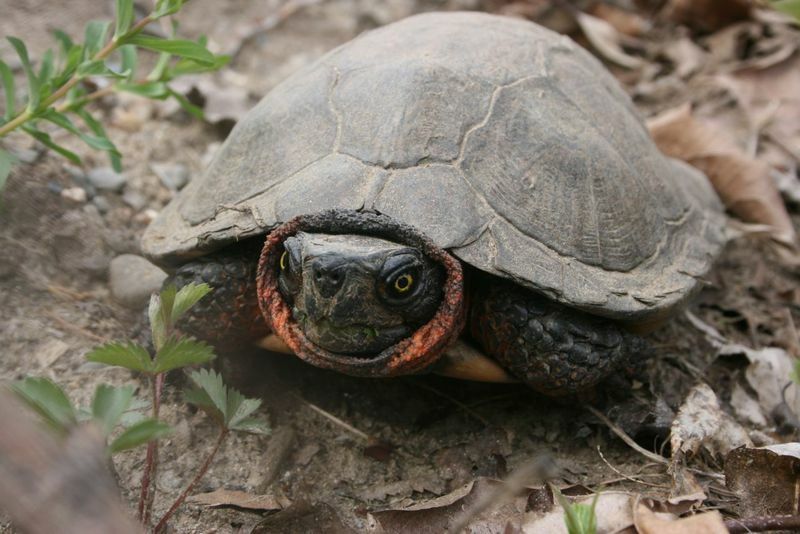 I gained much experience in radio-tracking during the first season (2009) of the wood turtle project described above. In my spare time, I'm generally reading books on radio-telemetry or other research techniques. I have good experience in using a handheld GPS unit and bringing the data points into ArcView. Most often, I am using my own Garmin GPSMap Cx. I am an avid photographer and I "drag" my Canon Digital SLR with me everywhere. Field work is an opportunity to capture rare visual images of interest and also to document project activities. My goal as a Conservation Biologist is to support biodiversity by helping to resolve habitat and population issues of endangered or threatened species in particular and of other species as issues arise. My work philosophy is a combination of two commitments: to apply my skills to solving problems of biodiversity and to pass on my knowledge and excitement to others through teaching. I have strong skills in project management that help me to organize research productively. My background education in mathematics, biology, and chemistry supports my work both in the field and in the analysis of data.I have successfully written grant applications for my current wood turtle research project which is in its second year.I have excellent computer skills: I'm particularly strong in ArcView 10 (with Spatial Analyst and 3D Analyst extensions) and Excel, and proficient in Word, Project, Power Point, Outlook, Explorer and Access. I have some experience using CAD. Interested in vernal pools, landscape ecology issues, metapopulation ecology, and population analysis of wildlife, especially: turtles, amphibians, birds, bobcats, fishers. I am looking for a position in which I can contribute to solving habitat and population issues for threatened and endangered species. I am particularly interested in population analysis, landscape ecology, and animal behavior and the application of GIS to help solve problems. I will be excited to apply these skills as a project manager or key researcher on your project whether local, regional, or international in scope. I am also looking for a teaching position at a college or university in which I can pass on my excitement for science and conservation biology. The application of science and ecological principles to real problems is what provides the motivation for my work and teaching skills. It is my intention to work full-time in a combination of both of these areas. I have the interest and personal motivation for both and I'm relying on you, my future employer, to join with me in these applying these efforts.